Earlier in the month I participated in the #booktubeathon readathon and enjoyed the experience so much that I thought I'd take part in another that runs from Monday 17th August - Sunday 23rd August. Bout of Books is a pretty chilled out readathon with the idea being to simply read as many books as you would like and whatever titles you would like to within the time frame. There are no challenges or strict guidelines to follow. Your 'to be read' pile is left entirely up to you! If you'd like to find out more, you can head over to the #boutofbooks blog. Even though I read 7 books during my last readathon, I've decided to only pick out a few this time because I've got lots of boring admin bits to get done and I want to read these particular titles at a much slower place. Here are the books that I'm going to be reading over the next week. If you've read them, leave me a little review of them in the comments! perfume by patrick suskind This book was sent to me for review purposes. Jean-Baptiste Grenouille, born in a Parisian slum and abandoned on the streets, discovers he has an extraordinary - near superhuman - sense of smell. As he sniffs his way across France, this gift is exploited by Grenouille to make the world's most marvellous perfumes. Yet in seeking perfection in his experiments, he realises that a vital ingredient is missing for the perfect scent: innocence. And in order to get the ingredient he needs, he must capture it - whatever the price. I read The Pigeon at the start of last year and I have been meaning to read this book ever since. I'm currently 50 pages through this already and I'm hoping to finish it within the next couple of days as I think it's a book that deserves to be read within a shorter period of time. Suskind writes so delicately about even the most menacing of things so I have every faith that I will love this book. I am incredibly ashamed to say that I am yet to read anything by Morrison but I've decided that now is the time to rectify that mistake. Everyone speaks so incredibly highly of Morrison and I'm really hoping that I, too, will become one of those people! The beautiful Nina sent me this book a year, maybe two years, ago and I promised myself I would read it once university was up. I read the first chapter a few months ago and enjoyed it so this should be a quick read to end the week with. I actually own another of Hesse's works, Steppenwolf, that I've yet to read so I'm looking forward to finding out what he's all about. Are you going to participate in the readathon? If so, let me know what books you're going to read. If not, what books would you have picked if you were able to take part? I'VE BEEN UPDATING MY PINTEREST SO TAKE A PEEK! 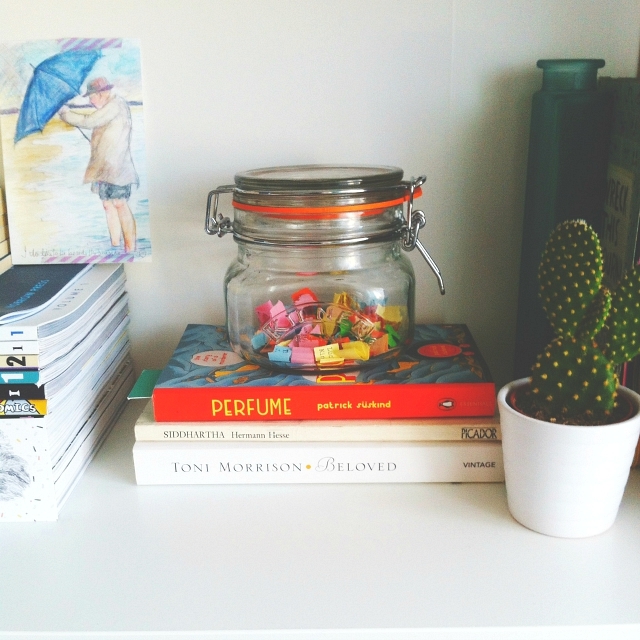 I've just posted my TBR, a bit last minute haha! I'm hoping to get four books read but that might be a little ambitious for me. YES PERFUME! I've yet to read The Pigeon but Perfume is a book I absolutely adore! I love love love Perfume. I read it in German and it's one hell of a rollercoaster, every word is important and has meaning. So glad you're planning on reading Siddhartha, you've got a good couple of German reads going on this summer! I just finished the #5Books7Days readathon and it was so much fun! Ooo, these all sound like really interesting books. I love the idea of this readathon as well - how relaxed it is.